The VICTOR AMATEUR RADIO ASSOCIATION (VARA) is the employee amateur radio club of L-3 Communications Systems - East and other successors of the Victor Talking Machine Company (VTMC), and sister organizations. The club started when we were the Radio Corporation of America (RCA), and now includes employees and retirees of RCA, GE Aerospace, Martin Marietta, Lockheed Martin, and L-3 Communications Systems - East. 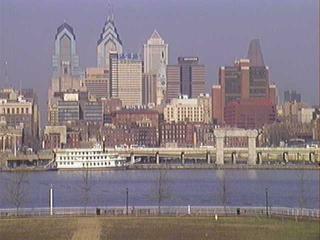 We are headquartered at the Camden Waterfront Technology Center, Camden, NJ, in the shadow of our former Nipper Building, on the Delaware River overlooking the city of Philadelphia, PA (see the view from our building). Affiliated members are located in Moorestown, NJ and throughout the country. We operate the Camden repeater (146.82-). Our members and former members have been pioneers in the communications business, a century-long heritage which started in 1901 here in Camden. FCC Licensing, Renewal FCC License Information, Renewals, Change of Name/Address, Rules, etc. Emergency Communications ARES/RACES, MARS, CAP, REACT, Weather, Red Cross, etc. AR-88, AR-88LF, AR-77, CR-88, etc. Manuals, Brochures, Photos, Technical Data, etc. "If you don't like the company you're working for, wait another year!" © 1998-2010 VARA. All rights reserved.